The BoyleSports App is available for Android and iOS. Get it now! BoyleSports gives access to many sports betting opportunities so you can find something that appeals to you and your betting style. If betting using your mobile device is your speed, you can download the BoyleSports app and take advantage of everything it has to offer, including the 25 GBP free bets bundle that new customers receive after making a specific combination of bets after account opening. Between the mobile app and the mobile website, you have a good opportunity to take full advantage of everything that BoyleSports has to offer. It’s a clean platform with plenty of opportunities to have a good time. Mobile users don’t have access to a special promo code, so mobile users can take advantage of the same offers that are open to all BoyleSports customers. The difference is that you are accessing the offers through your mobile device rather than a computer. As for how you can get the mobile app, you can search “BoyleSports” in the iTunes store or you can have BoyleSports text you a link. To find the page on the BoyleSports website where you can request the link, you must click the “Services” drop-down in the upper right-hand corner of the website and then click “mobile tablet.” You then provide your mobile number on the next screen so the link can be texted to you. The app isn’t available in the Google Play store for Android, but the text link will suffice. When the app downloads, you may have to open it from the downloads folder on your device to complete the installation process. Once you have the app, you can place bets, cash out, take advantage of offers, and manage your account no matter where you are. The convenience and mobility allow you to check on your bets and favourite events whenever you feel like it. The new customer offer is somewhat complicated. You receive 25 GBP in segments rather than at once. When you receive the bonus cash, each installment is given to you as a bonus bet. As for how it works, you must make a bet of at least 10 GBP on an event with odds of 2.0 or greater. You will receive a receive a 5 GBP bet regardless of whether your initial bet wins or loses. For every three 10 GBP bets you make after this, you will receive another 5 GBP until it adds up to an additional 20 GBP in free bets. In the end, the total is 25 GBP. To receive the full 25 GBP, you must place 130 GBP in bets. Once you receive your free bets, there are no wagering requirements for you to meet before cashing out your winnings. The only requirements are that you use a free bet within 7 days after receiving it and each bet must be used on a different selection. To ensure you download the app and receive the new customer offer, there are steps you can take. The following is a step-by-step guide to ensure you take full advantage of the mobile app or mobile website and the new customer offer. Since there are no mobile-specific offers, you can register for your account before you download the app. If you choose, you can download the app first. When registering for an account, you will provide your personal details and desired account details. You can also set a deposit limit if you want to have more control over how much money you bet. You must also certify that you are 18 years of age or older. To download the app, click the “Services” drop-down at the top of the website, click “mobile tablet” and enter your mobile number in the field to receive a text link to your iOS or Android device. You can also search “BoyleSports” in the iTunes store. You will have to deposit at least 10 GBP to make the initial bet that will result in the first free bet installment of 5 GBP. Deposits made using Neteller, Skrill or prepaid cards void the new customer bonus. Keep in mind that to receive the entire 25 GBP, you will have to place a total of 130 GBP in bets. If you want the full amount, you will need to deposit an adequate amount of cash. You will make an initial bet of 10 GBP to receive a 5 GBP free bet. Make three more 10 GBP bets to receive another 5 GBP free bet. Continue this process until you have 20 GBP more in free bets. When using the free bets, you must use each bet on a different selection. This gives you an opportunity to try your free bets on different events. You only have 7 days to use each free bet after it is applied to your account. Fortunately, other than using your free bets on different selections, there are no wagering requirements that must be met before cashing out your winnings. Once you have taken advantage of your new customer offer, there are other promotions that you can dive into so you can enhance winnings and the amount of fun. One of the best items is the Acca insurance. You can get a free bet if one leg loses in a 5+ Acca. You can also opt for best price guaranteed offers, Acca Loyalty, Fair Play Moneyback, top price, free bets on horse races, and even double winnings. It’s good to look at the offers now and then so you can see what opportunities are open to you. There are different deposit methods you can use to place money into your BoyleSports account. You can stop by a BoyleSports shop in Ireland if you want to deposit cash, but Irish players don’t qualify for the promotion since it is for UK players only. You can deposit money into your account using a credit card, debit card, PayPal, Paysafecard, Boku, EUTeller, and bank transfer so that you can receive the promotion. If you use bank transfer, it takes up to 5 business days for the money to appear in your account. UK players don’t want to make the initial deposit using Neteller, Skrill, and prepaid cards because they will void the new customer offer. When it’s time to withdraw, money typically appears in eWallet accounts within 24 hours. Credit and debit cards can take up to 3 business days, depending on how fast the credit card company processes credits. Reliable or Scam: How Safe is the BoyleSports App? BoyleSports takes security very seriously. To show how serious they are, they are licensed by the Gibraltar Gambling Commissioner and the UK Gambling Commission. Strict requirements must be met to obtain these licenses, such as protecting against underage gambling. Another requirement is the availability of resources that help people who may be at risk for gambling addiction or who are already addicted. 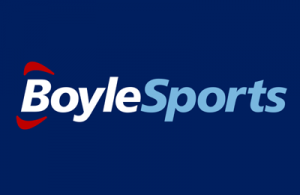 BoyleSports takes it a step further by giving customers the ability to set deposit limits. Overall, BoyleSports has a lot to offer and the BoyleSports app is a testament to that. You get a great deal of account control in the palm of your hand no matter where you are. As for the new customer offer, it isn’t one of the strongest offers out there since you need to bet a total of 130 GBP to receive 25 GBP in free bets. The free bets are given to you in installments of 5 GBP each and you have 7 days to use each bet. The mobile app and the mobile website make it easier for a person to use the free bets quickly because of the ability to take BoyleSports anywhere you go. How do I get the BoyleSports app? You can search “BoyleSports” in the iTunes app store for iOS devices. To receive the download link for Android, you can use the “text me a link” function on the site’s app page. You can find the page under the services drop-down on the “Mobile Tablet” page. Do I need a BoyleSports promo code? No. The new customer offer is activated after you make your first qualifying bet of 10 GBP. Each time you meet the requirements (3 bets of 10 GBP), you will receive another 5 GBP. Is there a mobile BoyleSports promo code? There isn’t a mobile code. Mobile users can use the same promotions as computer users.